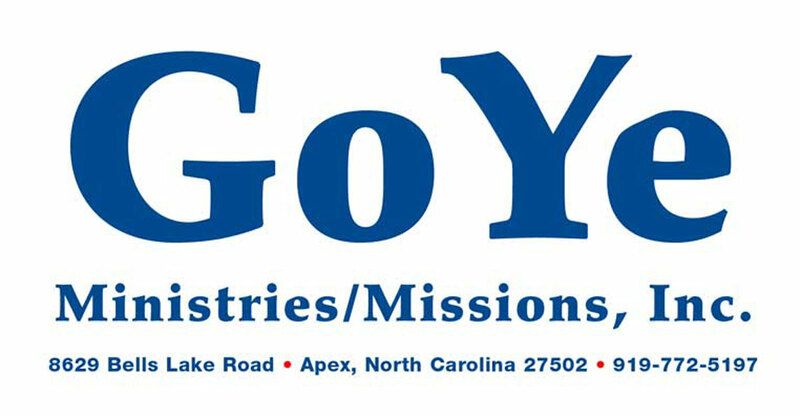 Go Ye Ministries/Missions, Inc. is a nonprofit corporation established to proclaim the Gospel of Jesus Christ according to Gods Holy Word. Go into all the world and proclaim Jesus Christ as the only Redeemer of man. We believe the Bible to be the verbally and plenary inspired Word of God, the only infallible rule of faith and practice for all believers. We believe in the eternal Diety of our Lord Jesus Christ, in His virgin birth, in His substitutionary death on Calvary for our sins, and in His bodily resurrection from the grave on the third day. We believe in salvation by faith through the shed blood of Jesus Christ, upon trusting Him personally as Savior and Lord. We believe in the present working, infilling, moving and empowering of God the Holy Spirit in the lives of men and women; we believe in the missionary responsibility of the Church to go into all the world. We believe all men are lost apart from the saving grace of Jesus Christ. We believe in the personal imminent return of Jesus Christ to earth. All donations, whether made by individuals or churches, are used 100 percent as designated by the donor. A tithe on all undesignated funds is appropriated to GYMM. No salaries are paid to any officer or director. An annual financial report is available upon request.